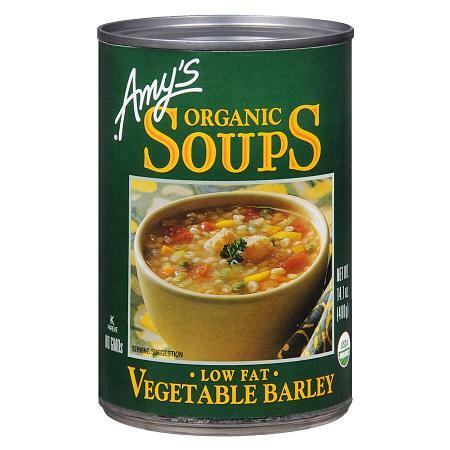 This delightful blend of garden vegetables and nutritious barley cooked in a light, flavorful broth will make you feel nourished and satisfied It's low fat, contains no cholesterol and is dairy free. No trans fat, added MSG, preservatives, GMOs or bioengineered ingredients. CONTAINS GLUTEN. Individuals with Food Allergies: This product is made in a facility that processes foods containing milk, wheat, soy, tree nuts and seeds. Amy's Kitchen does not use any peanuts, fish, shellfish or eggs..